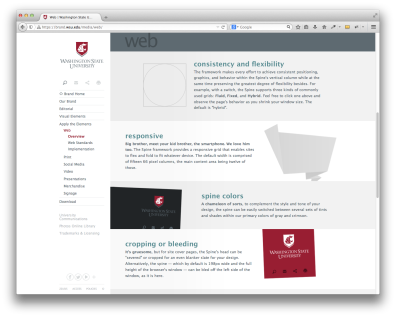 When WSU launched a new set of brand identity standards in 2014, University Marketing and Communications created a website to showcase them. 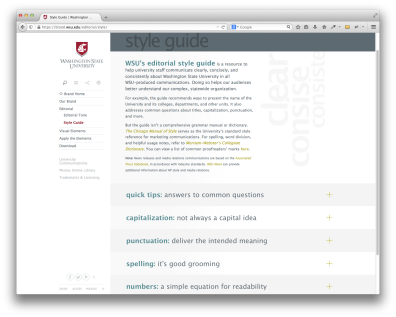 Its vivid language and imagery engage users while answering their questions about the new standards. 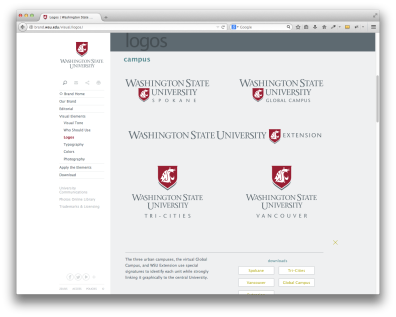 The site offers easy-to-follow guidelines and tools for representing the WSU brand.